Zinedine Zidane’s agent, Alain Migliaccio has said that the former Real Madrid coach will not manage any England team now. Manchester United manager, Jose Mourinho is under pressure at the Old Trafford and reports have it that despite United’s comeback victory over Newcastle suggested the Portuguese would be sacked regardless of the outcome of the match. 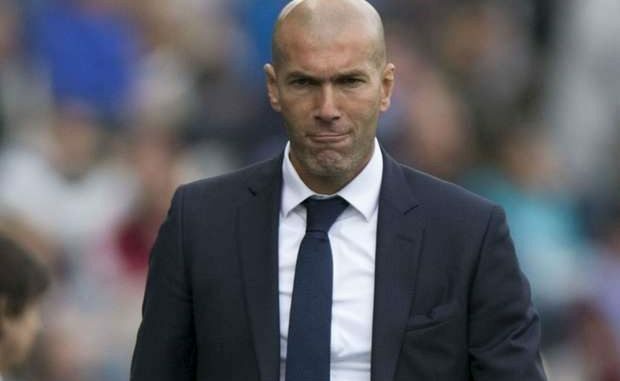 Zidane, who stepped down as Madrid boss after leading the side to a third successive Champions League title, has been heavily linked with the position. It’s also been claimed that United have already held talks with Zidane but Migliaccio appears to have ruled out the possibility of the iconic Frenchman managing the Red Devils. “I do not think that he will manage in England,” he told the Journal du Dimanche when pressed on the speculation. “It is much less his style. I have discussed it with him, it does not really attract him.